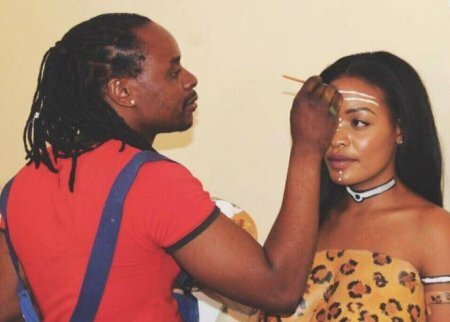 Trending photos of a Zambian lady identified as Iris Kaingu who went totally unclad in order to be painted by an artist. The lady who probably wanted to show the "importance of body art" - was all smiles as she stripped for the painting in a trending footage posted online. Social media users have described the images as "embarrassing show of shame".